It is remarkable that it is possible to buy a hydraulic lathe chuck from Sweden, install it in an engine lathe spindle made in the USA, and indicate the run-out with a dial indicator made in Switzerland, held by a magnetic base made in Japan. This is amazing in itself, but the truly amazing thing is that it all works, quite well! In this example, which actually happened to me, the run-out was less than .0001 in/.0025 mm, right out of the box, first try. 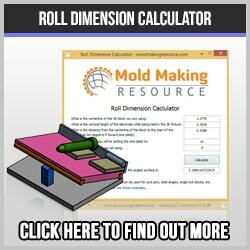 This is what precision tool measurement for injection mold making is all about. 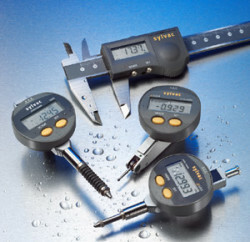 If you are truly serious about precision injection mold making, invest in quality measuring tools. One of the more challenging aspects of building a mold is to have all of the various measuring tools calibrated to the same standard. This is why the EDM chuck from Sweden fit in the American lathe spindle: the accuracy was traceable to a common standard. It doesn’t mean much if you are accurate within .0002 in., if the micrometer is not accurately calibrated! It just won’t work. Shops need to have a master set of gage blocks that are traceable to the NIST, or National Institute of Standards and Technology. This is not as hard as it sounds, you just need to invest in a good set of gage blocks, not some made by child labor in a developing nation. 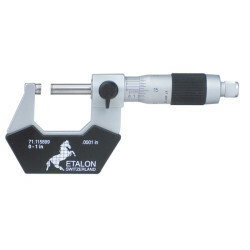 It is one thing to buy the best precision measuring tools, but if you don’t have a consistent way to take care of them they will quickly deteriorate. The proper care and use of these expensive tools is critical as well. They need to be treated with respect, handled carefully, kept free from rust and grinding grit. They need to have a clean storage place, with a grit-free surface on which to sit. 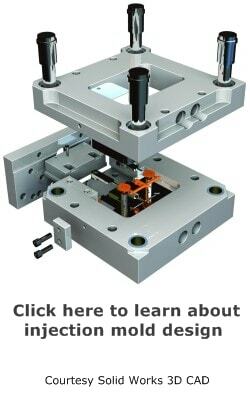 There are many places that you can cut costs in mold making, precision measurement tools is not one of them. It simply makes no sense to save money by buying a cheap dial indicator, for example. It is only going to haunt you in the long run. The same holds true for gage blocks, micrometers, squaring blocks, sine plates and so on. Using quality industrial supplies only makes economic sense. With large items, such as the optical comparator or coordinate measuring machine, it is especially important to obtain a reliable tool. Valuable shop time can be quickly consumed with trouble-shooting a low quality machine. Not only that, but what if the measurements are unreliable? The mistakes can become extremely expensive and will quickly erase the initial savings.